Thessaly is situated to the north of Greece. Its wide plains make it ideal horse country, and it's hardy population make excellent horsemen. Thessalians are typically shown as wearing the wide pestos ‘sun hat’, simple tunic, boots and a wide flowing cloak which is normally shown as red with a white boarder, although it is likely that some wore the cloaks similar to their Thracian neighbours. 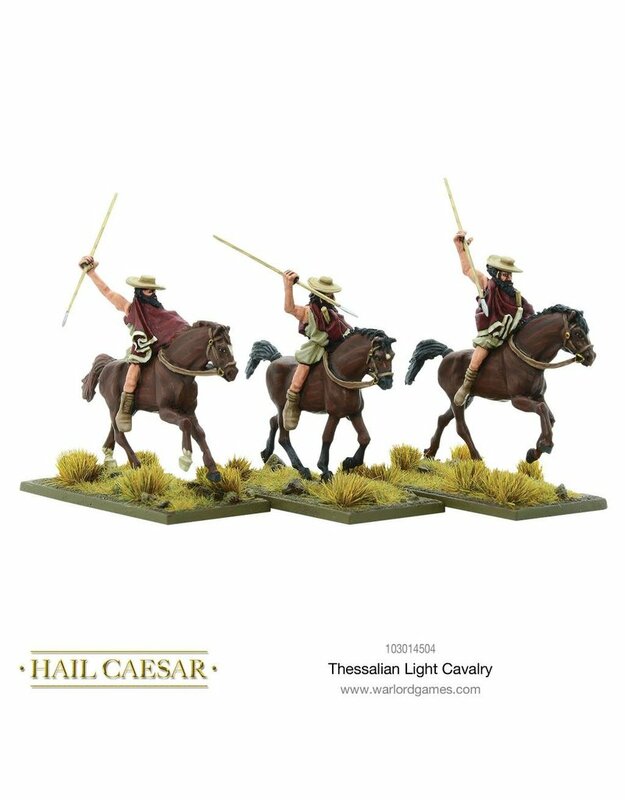 They ride the horse bare-back, without even a saddle-cloth and are armed with a pair of spears which could be thrown or used at close quarters. Thessaly actually sided with Persia during the invasion of Greece, their cavalry forces tested the Greek hoplites to their limits at the battle of Plataea.